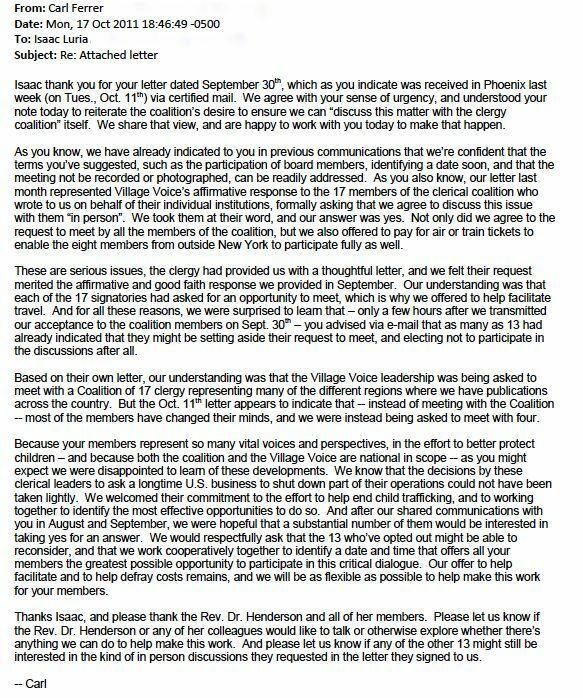 Today 36 clergy affixed their names to a paid ad and open letter to Village Voice and the classified ad site Backpage.com. The full page ad was published in The New York Times. The religious coalition demanded that we close down our legal, adult classifieds. In August this same religious coalition asked for a confidential meeting regarding Backpage.com. We readily agreed. As we prepared to share our information, we were informed that only four members of the coalition would attend.